In this month's newsletter we review the latest hacker attack and what you can do about it and we explain what you need to know about Windows Server 2012. 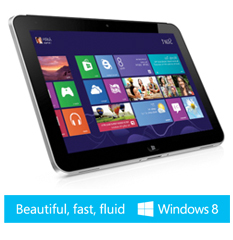 Transform your business with the new HP ElitePad tablet. Put productivity at your fingertips and get more done with tablet mobility and PC power, all in a single device. With thoughtfully designed accessories like a full keyboard, docking station, and smart jacket to extend battery life, the HP ElitePad moves your entire business ahead. Unlock your business potential with the HP ProLiant ML310e server, with integrated features like data management, data storage and backup, security and document and printer sharing. This solution will allow you to expand your business in a smart and affordable way. Get a great price from us and collect a bonus cash-back of up to $250. 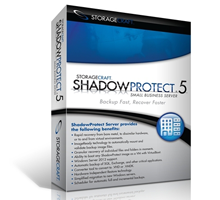 ShadowProtect 5 - award winning, real-time recovery solutions enables you to restore a server in less than 3-5 minutes after a hardware failure, corruption or a disaster. Easy to use and rock solid, ShadowProtect 5 for the Small Business is designed to help you keep your business up and running 24 x 7. To learn more - watch this video, or to purchase a license of ShadowProtect 5, please contact us now for a quotation. Protect your virtual and physical environments with a single solution at a great price. In just four simple steps you can quickly recover physical and virtual systems (server, host, desktop or laptop) from local or off-site destinations. Buy from us before 30th June 2013 and you can save up to 60% off the RRP of Symantec System Recovery 2013 Virtual Server Edition (VSE). Last September Microsoft launched Windows Server 2012, the third major release in the history of Windows Server. Here we answer the 5 most common Server 2012 questions..